It's running cool with just the 3 fans that came with the case and the after market cooler. 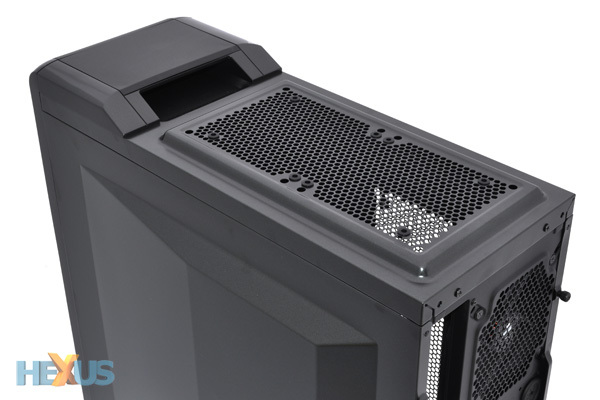 The top of the case has a place to mount 2 more fans so there are a lot of holes. I can't find a dust filter for it so I went ghetto. I cut a couple Snuggle dryer sheets to fit and hold them in place with refrigerator magnets. I enabled XMP to slightly overclock the memory. In-game it's smooth as silk. Intel® Extreme Memory Profile (Intel® XMP) allows you to overclock compatible DDR3/DDR4 memory to perform beyond standard specifications. It’s designed to enhance the gaming features built into Intel® technology–based PCs. If you like to overclock and squeeze as much performance from your PC as possible, then memory based on Intel XMP gives you that extra edge you need to dominate—without breaking a sweat. I've got to admit, that is one Great Lookin' Tower! Any chance it's got room for a 3.5" Floppy Drive? Yes, there are 4 drive bays in the front. I'm only using 1 for the optical drive. The button on the upper right is used to toggle the fan LEDs. I have mine turned off. 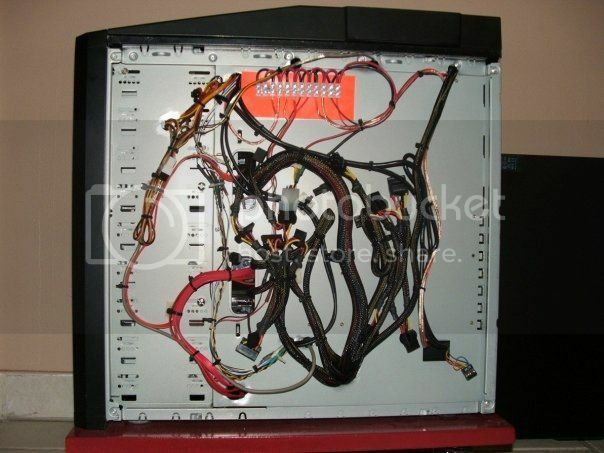 Fortunately, with newer cases they have made more provision for proper cabling, allowing those unwanted molex plugs to be wrapped and stored out of the way, unless of course you have a fully modular PSU where the molex plugs would never be connected to the power supply in the first place. WOW they all beat my plain, dreadfully slow black box hands down. Okay brick, I saw your post over at D with CPUID HWMonitor. That is with your H90 installed? 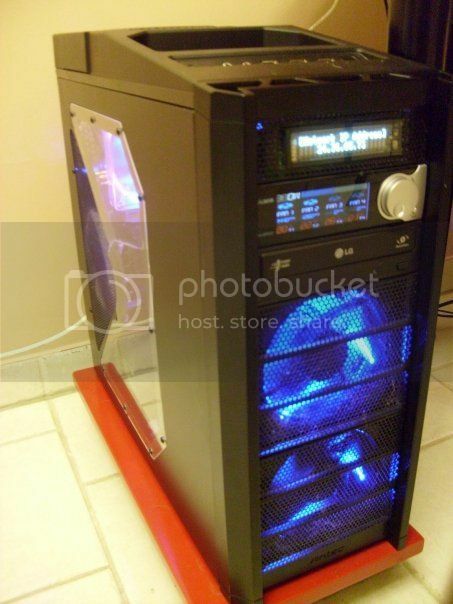 I have a friend in Winnipeg that just built a pretty slick new PC, also with an H90. He posted stress test temps of 58-61, does that sound right? Default clock speed also, 4790k, Sabertooth board. go for it Al, you love doing that kind of stuff, you could always sell one of your old ones and use the money for parts for your new build. I pulled the trigger. Fallout 4 will unlock in approximately 1 week, 1 day and 12 hours. Those Towers are awesome in their "Supposed Complexity" but the way they're built bespeaks of "Logical Order and Simplicity". My non-existant hat is off to you gentlemen. 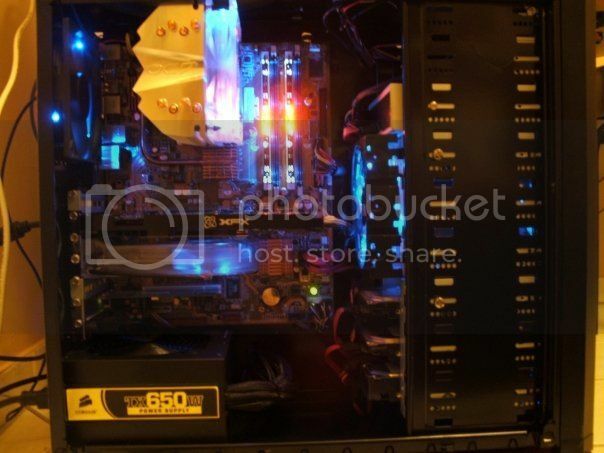 That video card completes my new build. It took over 7 months. Hard to call it a new build anymore. It cost me more than my whole last gaming PC. Should be here by Wednesday. Then I can put the video card that's in it back in my old Gaming PC. Nice card brick, will certainly amp up your game play. I bought a power supply unit a few months ago in anticipation of this card that required more power than my old card did. I installed that first and it wouldn't stay running. I thought DOA. Unplugged everything and used a PSU tester that came with the unit (a paper clip works too) and the fan spun up, yay. Whenever I plugged in the SATA power cables it wouldn't stay running. Thought about it a while and decided to use the cables that came with it instead of the ones that were already connected to the drives (lazy). I don't have a clue why but it kept running after that. An EVGA psu doesn't play nice with Antec cables. The video card was a snap to install. I had already downloaded the Nvidia software / drivers, installed that. It was pretty much plug and play. I'm looking for something that will stress it. Downloading 3DMark now. Couple of pretty cool free benchmarks here also, I used Heaven and Valley to test the step sons set up with a 4870 card, beautiful graphics! I remember I used to tell people to test their PSUs with a paper clip on the green and black terminals (forget the pin numbers) as a preliminary PSU test to determine whether the thing will even turn on, but coqauvin would always chime in with "bad advice" I solved many an issue with simple diagnostic tests but some people seem to think these machines are beyond the average person's capability, may be true in some cases but that doesn't apply to every person. 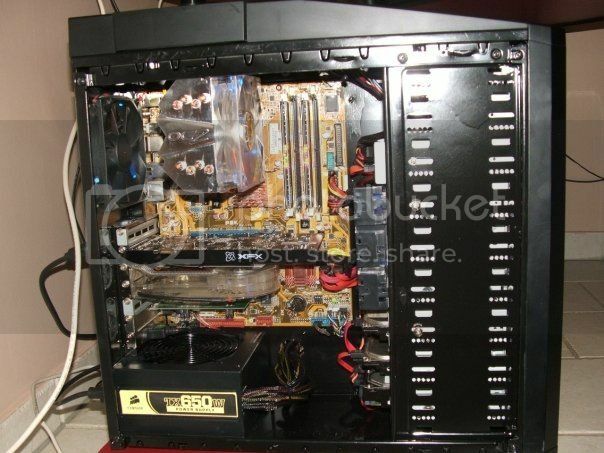 Glad you solved your problem brick, maybe do a continuity test on those antec cables to see if they're shorted, or just toss them, if I'm not mistaken they're pretty cheap. Assuming it's possible, how expensive is a new battery-pack (and probably charger) for an Acer "Aspire One"? A guy down the street gave me one in exchange for some "medications". The PSU and the cables are fine. It's just not enough (550W) to power the new card. It's going back into my old PC along with the ATI 7870. The EVGA PSU is 750W. Did a 3DMark test on my new card. Stats are better than 94% of all results on Fire Strike 1.1. Which do you recommend, Townie? I'm currently receiving my CPP Disability Pension and OAS but not my GIS...but that may soon change as I've sent off a 12-page Letter to my Separated Wife last Tuesday (3 November). You wouldn't believe how nervous I was when I wrote that letter because we haven't seen each other in 24+ years. What I left out was the fact that a "Canadian Gentleman" currently owes me: ~ $79,500, courtesy of a Promissory Note which he signed on Sunday 18 November 1984 and included his SIN. Back then, he only owed me $250 but the interest, which compounded every 30 days, was the killer. He's still breathing. At best, I'll have her back again...forever, I hope. At worst, I'll have her SIN and my GIS retroactive to my 65th Birthday Anniversary.